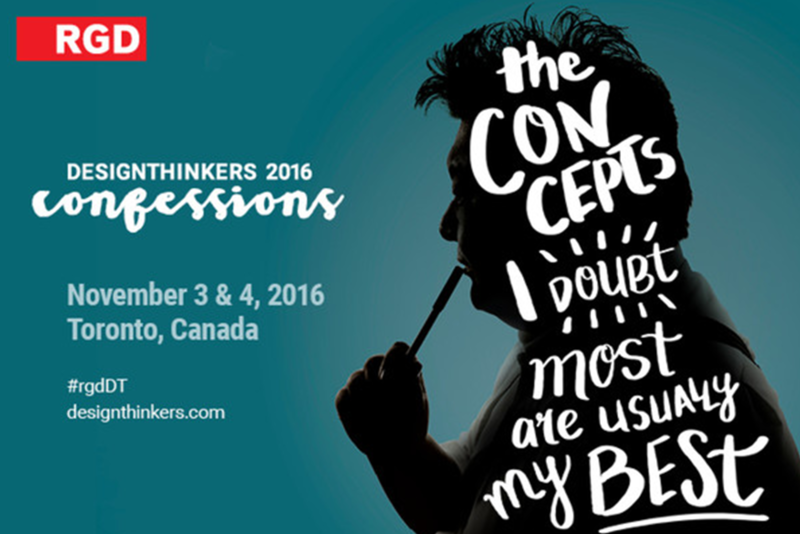 RGD is hosting its annual DesignThinkers Conference! DesignThinkers delivers inspiring, cutting-edge content from leading design visionaries from around the world for its 17th year. The conference will take place on Nov. 3 and 4, 2016, followed by the Design Educators Conference on Nov. 5, 2016. Over the past decade, design has been transformed, possibly more than any other discipline or profession – from the on-going, rapid advances in technology and how we communicate with one another to the widespread acceptance of design as a positive force for business and social change. RGD’s 17th annual DesignThinkers Conference offers insights from industry pioneers and emerging vanguards into the evolution of the profession, now and in the future. Designers attend to learn new skills, expand their knowledge and prepare for a future that necessitates they tackle ever more complex challenges. With over 2,000 attendees, 30+ speakers and presentations in 4 streams (Inspiration, Strategy, Trends and Interactions), DesignThinkers is the largest event of its kind in Canada. Hear from Paolo Antonelli, MoMA’s Sr. Curator of Architecture & Design, Ashleigh Axios, Head of Digital Strategy at The White House, Erin Sarofsky, the film titles designer for Captain America and more. Buy your tickets for DesignThinkers Conference today.